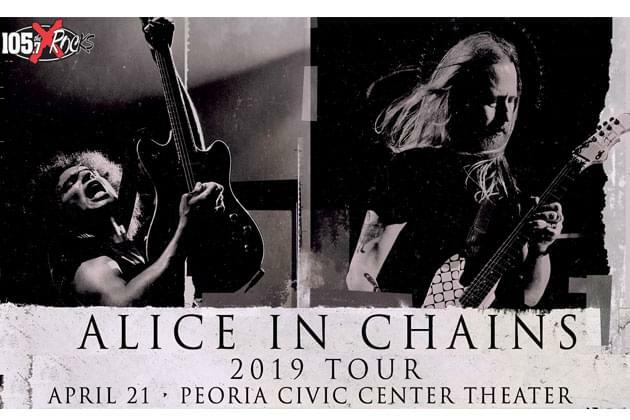 Alice In Chains Pre-Sale Link For This Thursday! OK, ready to grab yer’ Alice In Chains pre-sale tickets?? The official Alice In Chains PRE-SALE begins this Thursday, January 31st, beginning at 10am, until 10:00pm. The password is RAINIER! Just click the link HERE! Get your tickets! Do not miss this ICON of 105.7 The X, ALICE IN CHAINS! The show is April 21st, at the Peoria Civic Center Theater, at 8:00pm! See you there!